Each week in October, the design team celebrated their favorite iconic women in history with a DIY Halloween costume project! 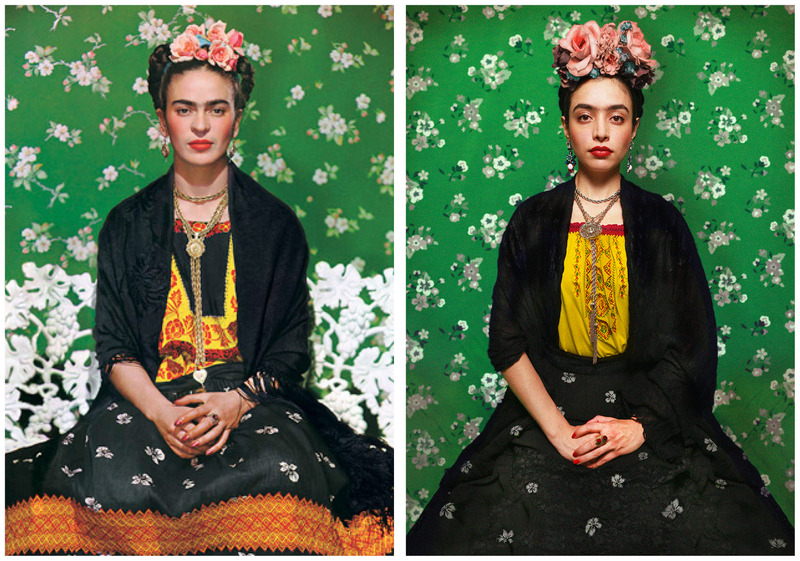 PLUS – we’ve recreated some of their most memorable photographs, and the results are incredible! > Despite being hospitalized and bedridden, she still made it to her first groundbreaking art exhibition – on a hospital stretcher. 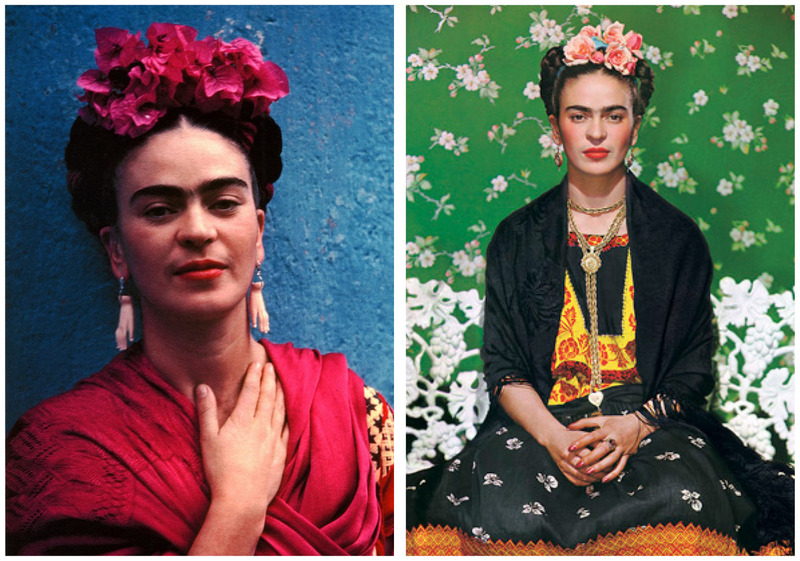 > The house she was born in, “La Casa Azul,” is the most visited museum in Mexico City. 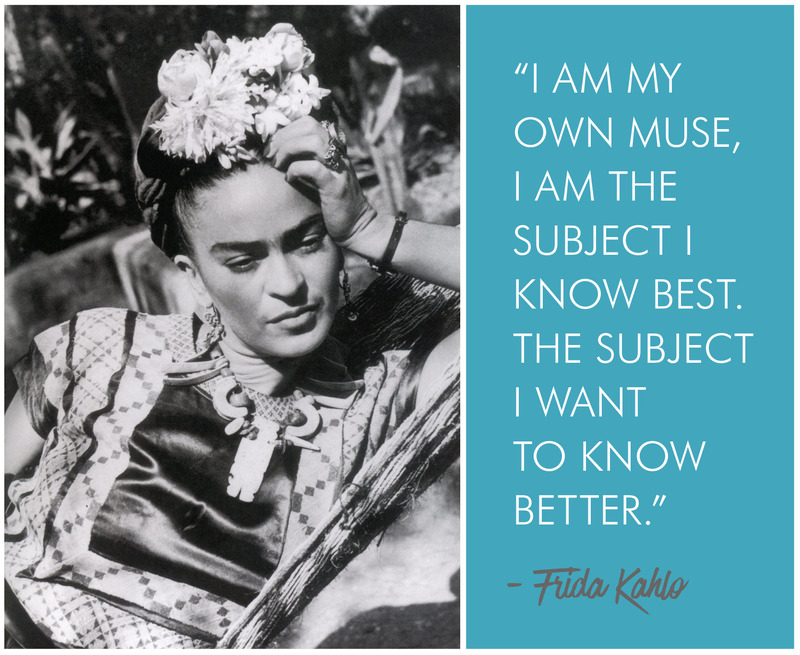 > In 2006, one of her self-portraits sold for $5.6 million, the highest sum ever for a Latin American painter. 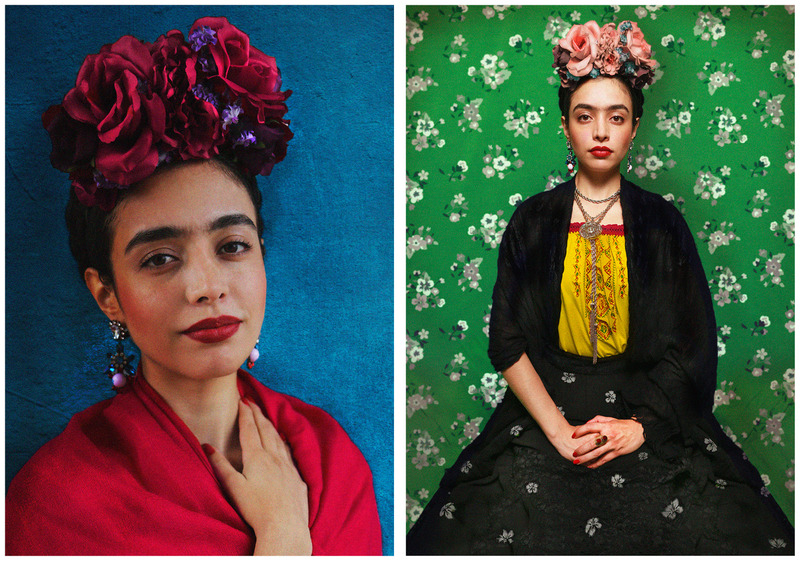 Every photo of Frida is so colorful, so we knew our copycat photo shoot was going to be ridiculous fun. 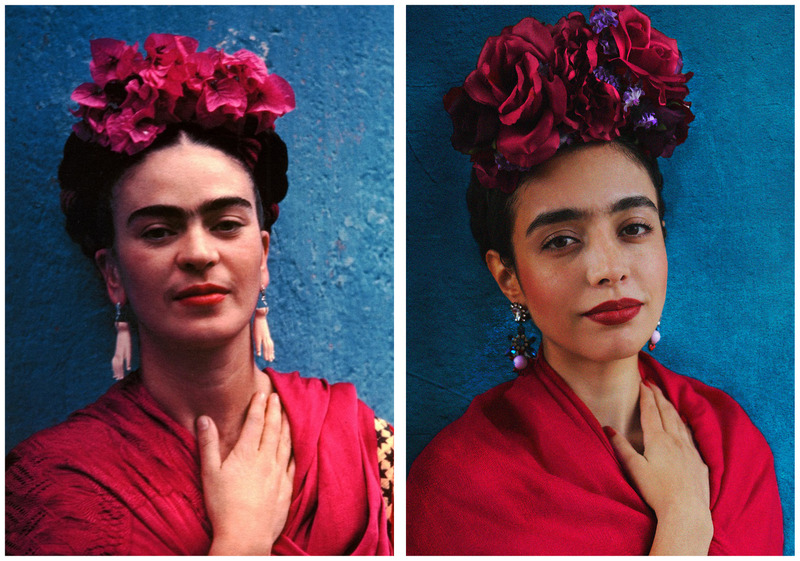 Fun fact – the photo on the right is from Frida’s feature on the cover of Vogue France! To recreate the first image, we took our model Laura outside and snagged some great shots against Nations Photo Lab’s blue building. 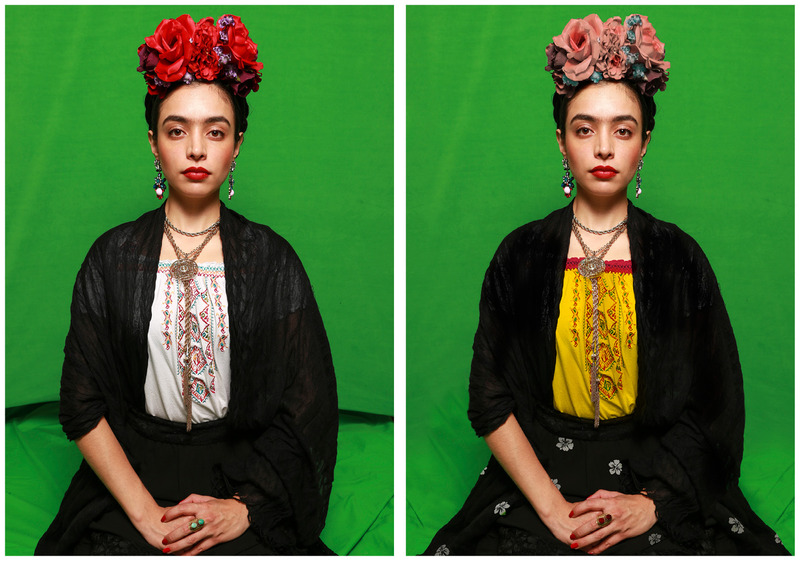 To create the green background behind Frida in her Vogue cover photo, we transformed the NPL conference room into a full-fledged studio. We borrowed a green screen and a cushion to make sure our details were just right. 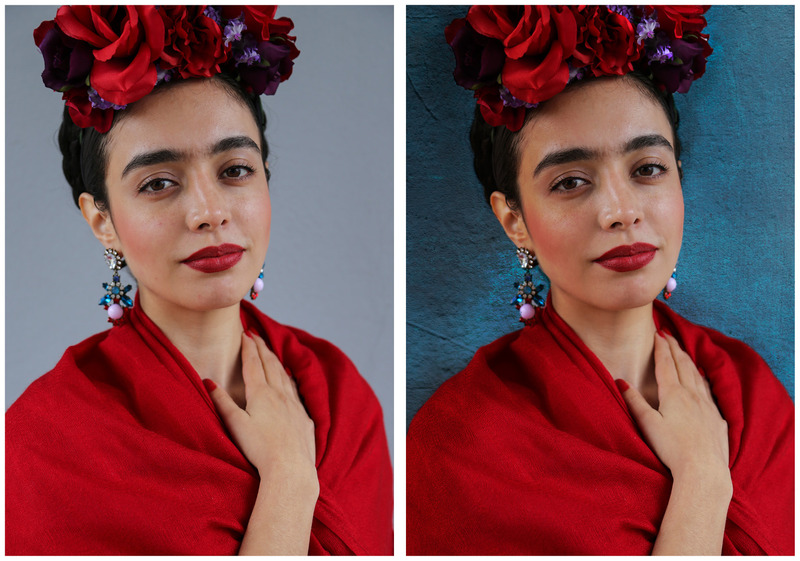 To get our Frida lookalike ready for her closeup, we took to Photoshop to make some small changes to our final image. 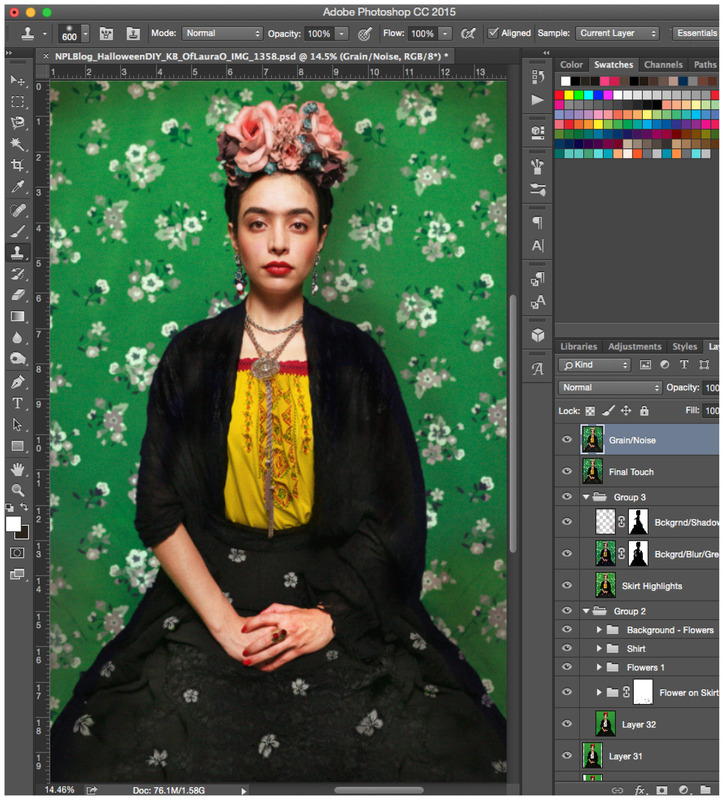 First, we darkened the background and overlaid some texture on the blue wall behind her. Then, we added some highlights and shadows from the background to match the original photo. 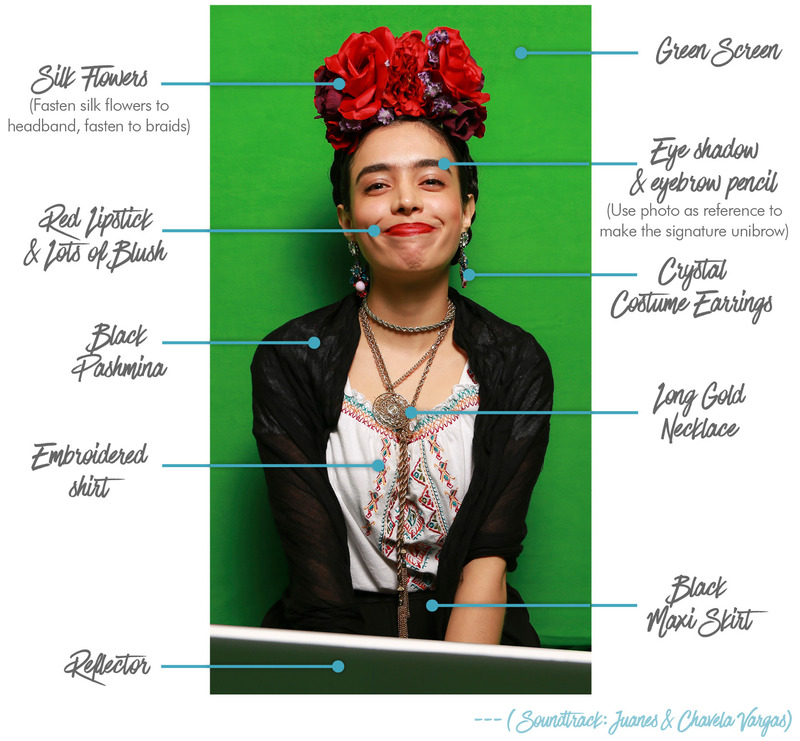 Finally, we added some flowers to the top of the image and accentuated her makeup. The next image required a little more hands-on editing: First, we filled in her skirt and added flowers to both the skirt and to the background. Next, we changed her shirt color from white to yellow. After that, we lightened up the color of the flowers in her hair, added some noise and grain, and created some highlights in the background. We finished the job by under-laying some of the original photo (around 20%). 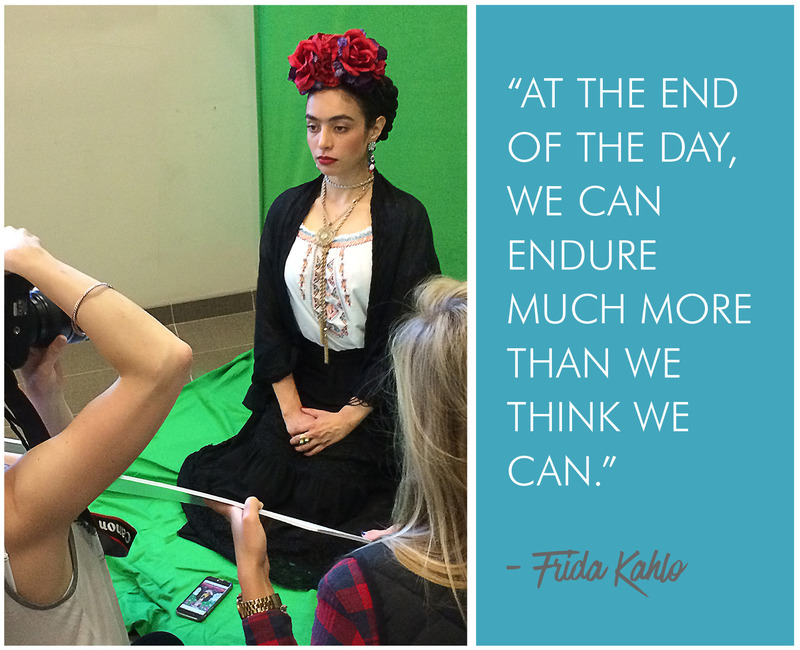 Feeling inspired to represent woman-kind this Halloween? Check out each one of our DIY Halloween Costume posts on Pepper Road to learn exactly how to nail it!